Can a Common Allergy Med Help Treat Lyme Disease? 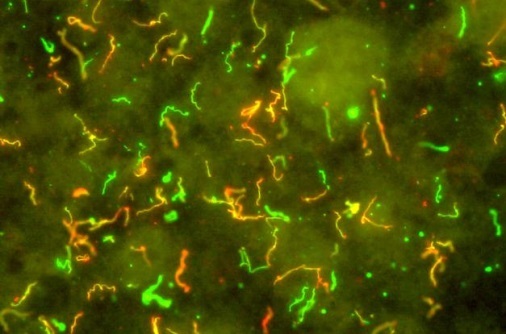 Loratadine, an antihistamine found in over-the-counter allergy medicines, may be able to help kill the bacteria associated with Lyme disease (Borrelia burgdorferi). Findings from this study are published in Drug Design, Development and Therapy. The study showed that loratadine and its metabolite, desloratadine, are able to prevent manganese from entering the cell wall of the bacteria that causes Lyme disease. Manganese is needed for certain metabolic processes of Borrelia burgdorferi. The bacteria is considered harmful to the body when manganese binds to the bacteria’s transport system Borrelia metal transporter A (BmtA) and enters the cell. The antihistamine inhibits BmtA, thus leading to bacteria starvation and causing it to die in test tubes. Jayakumar Rajadas, PhD, Director of the Biomaterials and Advanced Drug Delivery Lab (BioADD) at Stanford University School of Medicine and lead author of the study, states that these promising results could lead to the development of the first targeted therapy to treat Lyme disease. For more information visit BayAreaLyme.org. Close more info about Can a Common Allergy Med Help Treat Lyme Disease?